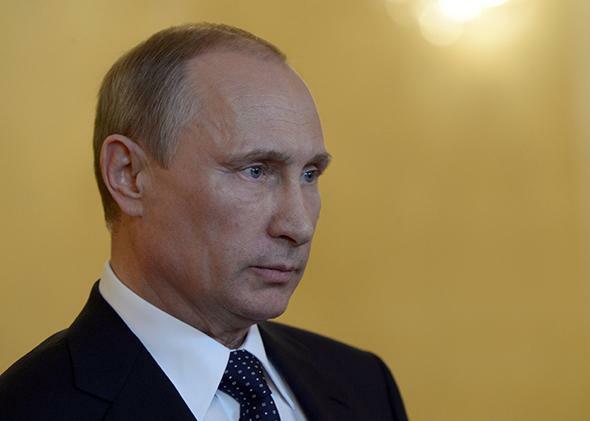 This tragedy offers Vladimir Putin an opportunity to get out of the messy disaster he has created in eastern Ukraine. Before there is any further discussion of Malaysia Airlines Flight 17, it’s important that one point be made absolutely clear: This plane crash is a result of the Russian invasion of eastern Ukraine, an operation deliberately designed to create legal, political, and military chaos. Without this chaos, a surface-to-air missile would not have been fired at a passenger plane. From the beginning, the Russian government did not send regular soldiers to Ukraine. Instead, it sent Russian mercenaries and security service operatives such as Igor Strelkov—the commander in chief in Donetsk and a Russian secret police colonel who fought in both Chechen wars—or Vladimir Antyufeyev, the Donetsk “deputy prime minister” who led the Latvian KGB’s attempt to overthrow the independent Latvian government back in 1991. With the help of local thugs, these Russian security men besieged police stations, government offices, and other symbols of political authority, in order to delegitimize the Ukrainian state. In this task, they were assisted by the Russian government and by Russia’s state-controlled mass media, both of which still constantly denigrate Ukraine and its “Nazi” government. Just in the past week, Russian reporting on Ukraine reached a new pitch of hysteria, with fake stories about the supposed crucifixion of a child and an extraordinary documentary comparing the Ukrainian army’s defense of its own country with the Rwandan genocide. Into this ambiguous and unstable situation, the Russians cynically funneled a stream of heavy weapons: machine guns and artillery, and eventually tanks, armed personnel carriers, and anti-aircraft missiles. In recent days, the separatist forces were openly using MANPADS, and were also boasting of having taken down large Ukrainian transport planes, clearly with Russian specialist assistance. Indeed, Strelkov on Thursday afternoon boasted online of having taken down another military plane, before realizing that the plane in question was MH17. He removed the post. In late June, several different Russian media sources published photographs of BUK anti-aircraft missiles, which they said had been captured by the separatists—though they were probably outright gifts from Russia. These posts have also been removed. This is the context within which a surface-to-air missile was aimed at a passenger plane: A lawless environment; irregular soldiers who might not be so good at reading radar; a nihilistic disregard for human life; scorn for international norms, rules, or standards. Just for the record: There weren’t any Ukrainian government-controlled anti-aircraft missiles in eastern Ukraine, because the separatists were not flying airplanes. 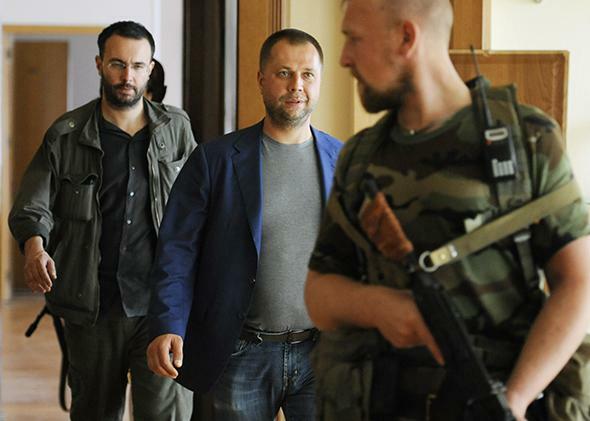 Alexander Borodai, self-proclaimed prime minister of the pro-Russian separatist Donetsk People’s Republic, walks to his press conference on July 18, 2014. Until now, these unorthodox methods have worked well for the Russians. They unnerved and distracted the Ukrainian government while at the same time allowing foreign governments, and European governments in particular, to turn a blind eye. Because the war was not a “real” war, it could be described as “local,” as “containable,” it could remain a low priority for European foreign policy or indeed for anybody’s foreign policy. If it has done nothing else, the crash of Flight MH17 has just put an end to the “it’s not a real war” fairy tale, both for the Russians and for the West. Tragically, this unconventional nonwar war has just killed 298 people, mostly Europeans. We can’t pretend it isn’t happening any longer, or that it doesn’t affect anyone outside of Donetsk. The Russians can’t pretend either. Without the fairy-tale pretense, some things are about to become clear. For one, we are about to learn whether the West in 2014 is as united, and as determined to stop terrorism as it was 26 years ago. When the Libyan government brought down Pan Am 103 over Lockerbie, Scotland, in 1988, the West closed ranks and isolated the Libyan regime. Can we do the same now—or will too many be tempted to describe this as a “tragic accident,” and to dismiss what will inevitably be a controversial investigation as “inconclusive?” It is insufficient to state, as President Obama has now done, that there must be a “cease-fire” in Ukraine. What is needed is a withdrawal of Russian mercenaries, weapons, and support. The West—and the world—must push for Ukrainian state sovereignty to be reestablished in eastern Ukraine, not for the perpetuation of another frozen conflict. We will also learn something interesting about the Russian president. So far there is no sign of shock or shame in Russia. But in truth, this tragedy offers Vladimir Putin an opportunity to get out of the messy disaster he has created in eastern Ukraine. He now has the perfect excuse to denounce the separatist movement and to cut its supplies. If he refuses, then we know that he remains profoundly dedicated to the chaos and nihilism he created in Donetsk. We can assume he intends to perpetuate it elsewhere. And if we are not prepared to fight it, we should be braced for it to spread.